The V-Go from Valeritas is a new type wearable disposable insulin delivery device for Type 2 diabetes. The old school of thought is that insulin delivery systems such as pumps and pens were meant for people with Type 1 diabetes only. While people with Type 2 diabetes do make insulin, eventually some people with Type 2 diabetes require insulin to achieve the best possible blood sugar control. Starting insulin doesn't mean that you are failing in managing your diabetes. Diabetes is a progressive disease that changes, sometimes despite your efforts. Adding insulin to your diabetes self-management plan might be the remedy you need to get your blood sugars under better control. The insulin delivery systems and needles of today are much more advanced than those of the past. The needles available are very tiny — the smallest 4mm (the size of two strands of hair). 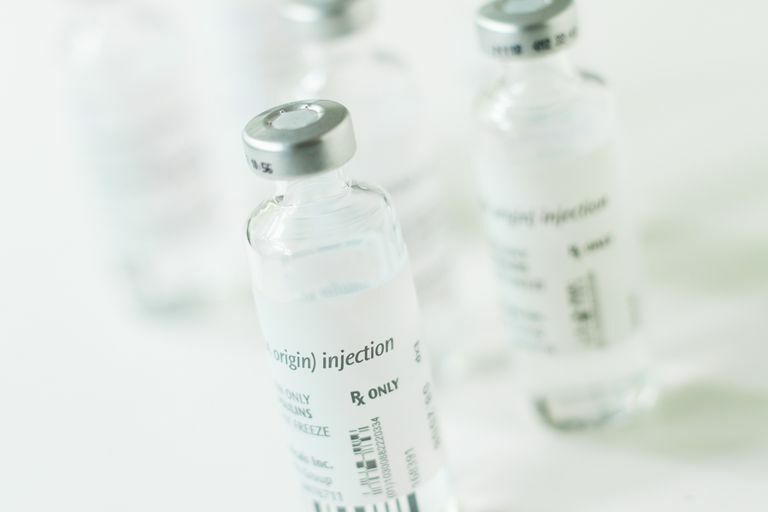 Although the needles are small and delivery systems such as pens and syringes are fairly easy to use, some people simply have a fear of needles and don't like the idea of injecting insulin on a daily basis. The inconvenience of carrying supplies and having to administer insulin in public places may also deter you from taking your insulin. For those feeling any of the above, a new insulin delivery tool called the V-Go may be an option. The V-Go is a portable, tubeless, disposable insulin delivery system (like a mini pump). It is very light in weight, about 0.7-1.8 ounces and is 2.4 inches long, 1.3 inches wide and 1/2 an inch thick. It was approved by the US Food and Drug Administration (FDA) in 2010 and has been marketed in the United States since 2012. It acts similarly to an insulin pump in that it delivers a continuous amount of basal insulin during a 24 hour period. Basal insulin is insulin used to cover the body's normal function (breathing, digestion, etc). The V-Go also delivers bolus insulin to lower blood sugars after meals. When you eat food that contains carbohydrate (which breaks down into sugar), you need insulin to bring the sugar from your blood to your cells to use for energy. In someone without diabetes the pancreas does this automatically — it produces the exact amount of insulin at exactly the right time. For people with diabetes, however, their pancreas may not produce enough insulin or the insulin they are making is not working properly. The V-Go is prescribed as V-Go 20, V-Go 30, or V-Go 40. The numbers reference the amount of insulin that will be delivered over a 24 hour period. For example, the V-Go 20 will deliver 20 units of basal insulin, delivered at .83 units per hour over the course of a 24 hour period. The V-Go 20 can also deliver up to 36 units of bolus insulin, delivered in two unit increments. Before attaching the V-Go, you will need to fill the device completely with insulin — either insulin Aspart (Novolag) or insulin Lispro (Humalog). Your healthcare provider will write you a prescription for either 2 or 3 vials of insulin, depending on which V-Go you receive. How Do I Put on the V-Go Insulin Patch Pump? You can attach the V-Go to any area on the body where you can give on injection — on the stomach (2-inches away from the belly button), the backs of the arms or the tops of the legs. You want to place the V-Go in a spot where you can reach it easily so that you can deliver insulin for your meals with ease. Clean the area of skin with an alcohol swab to help remove any dirt or lotion. Let the area dry well so that the adhesive can stick snugly to your skin. Once you have the V-Go securely on your skin you can hit the "needle button" which inserts the needle into the skin. After a 24-hour period is completed, users hit the "needle release button." The needle will retract into the V-Go so the device can be removed. Once the device is in place and you have activated the needle button, the V-Go will begin to deliver basal insulin. The device is worn for 24 hours (even bed-time and showering). After 24 hours the device will be removed. When you eat a meal you will have to deliver a bolus of insulin (a plan provided by your health care provider). You will have to press the bolus ready button and the bolus delivery button to deliver bolus insulin in 2 unit intervals. The device will not allow you to click the bolus delivery button more than 18 times in a 24 hour period. Why Would I Want to Use an Insulin Patch Pump? If you are someone with Type 2 diabetes that needs to start insulin and does not want to inject it multiple times a day, this device may be the right one for you. The V-Go delivers insulin all day — you no longer have to carry supplies, such as pens, needles, vials, and syringes. The V-Go does not require batteries, infusion sets, intense education sessions (although you will need to be educated and trained on how to use it) or the need to program the device. You can wear it for 24 hours and then dispose of it. If you are someone who needs less than 20 units of basal insulin or less than 2 units of bolus insulin per day than the V-Go would not be an ideal insulin delivery system for you. Many healthcare plans will cover most of the cost. If they do not, it will cost about $250 for a 30-day supply (one of the cons). You will receive 30 V-Go devices and 2-3 vials of insulin per month — pending on what V-Go you are prescribed. You can contact your insurance company or V-Go directly to find out if you are eligible. V-Go offers to call your insurance provider directly. Goldman-Levine, Jennifer. "Insulin Patch Pumps: A New Tool for Type 2." Diabetes Self Management Management. March/April 2014; 9-14. V-Go. Disposable Insulin Delivery. April 16, 2014.